If I were to chose the best sports film of all time, it would not be a very tough decision. 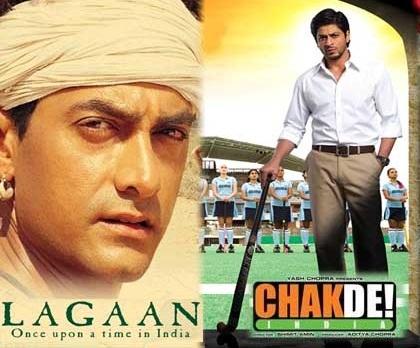 Some might argue with ‘Chak De! 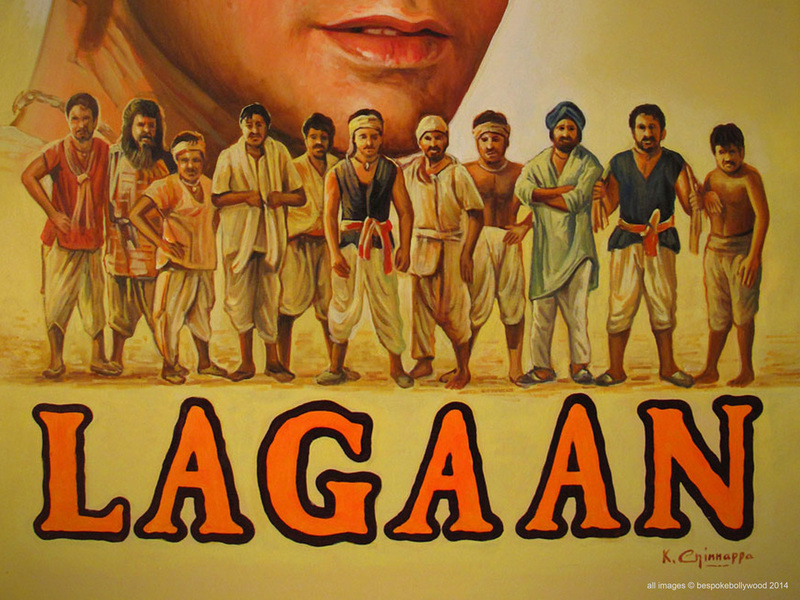 India’, but frankly, compared to Lagaan, it can not stand. It is the story of a village named ‘Champaner’, where the season conditions force the villagers to not be able to grow appropriate amounts of crops and hence, making them incapable of paying the land tax to the British powers. To make a deal with the draconian British powers, namely Cpt. Russell, Bhuvan, the protagonist of the movie, convinces him to make a bet on a match of Cricket. If the villagers win, they will not have to pay any land tax for three years to come. But, if they lose, they will have to pay thrice the land tax, which for the villagers, is destruction inside out. The british authority has experience in the game whereas the Indian villagers are absolutely unaware about it. But, Elizabeth, sister of Cpt. Russell, understand the unfair situation of the villagers and teaches them the game. Most of the villagers are reluctant to join, but somehow or the other, Bhuvan formulates a team of 11. What happens next? Will Elizabeth be able to teach them in time? Will Cpt. Russell find out about the actions of her sister? Will Bhuvan be able to formulate a team which can crack the British side? Ashutosh Gowariker has been just perfect at handling every bit of direction to produce this amazing film on History. The portrayal of Rural history of India and further issues they face, including economic issues, like lack of money, water resources etc. as well as social issues like, untouchability, have been talked about in just the perfect way. The way the villagers create their equipment, like bats, pads out of bamboo, and glove-like coverings out of cloth etc. The music of the movie sits in almost perfectly into every spot it has been placed in. The practice sessions, the prayers before and during the match. The time when a love triangle between Bhuvan, his love interest, Gauri and Elizabeth, a beautiful bi-lingual song makes you wander. And how can anyone forget, the theme song of the film played during the Cricket Match, adds to the tense emotions of the viewers exceptionally well. A.R Rahman along with Javed Akhtar intensify the entire plot. The most amazing point about Lagaan is it’s Screen Writing. 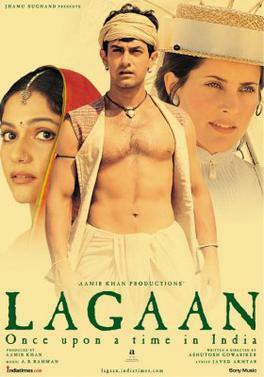 The most authentic and elaborate screen writing for any sport thriller is Lagaan. They show the perfect methods to rural occupations, perfect habits and distinguish between the British and rural Indian villagers. Most importantly, the cricket match was scripted exceptionally well. Even if you actually keep a track of every run scored and every ball bowled, you get to see it’s quite accurate. From showing all possible conventional ways of getting out, like being bowled, caught out, conventional run-out (run-out while the batsmen are running) and LBW, to showing unconventional methods of getting out including unconventional run-out (run out before the delivery has taken place), hit-wicket and run-out-by-chance (ball hits the non-striker stump after being struck by the batsman via touching one of the fielders, most probably, the bowler himself), the match had everything. It even showed many important rules/aspects of the game, including hitting the ball once only is allowed, retired hurt, requiring a spare batsman to take the runs of the actual batsman, catching the ball beyond the boundary line results in a six and most importantly, sledging, which wavers the concentration of the batsman. The strategical difference between the two teams depicts the level of experience between them. The dialogues are perfectly written to suit the entire situation of the villagers. They have depth, emotion and yet, stick to the very coarse Bhojpuri-mixed Hindi, something highly popular in the rural areas. The lack of communication between Elizabeth and Bhuvan is very realistically portrayed and dealt with using a human translator, named Ramsingh. A special credit must go to Amitabh Bachchan for his amazing background voice for narration. The actors, each one of them, has done their job to the utmost level of perfection. 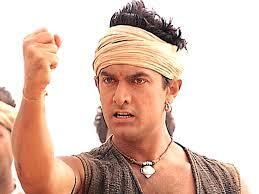 Aamir Khan has the depth of emotion and pressure required to play a character as intense as Bhuvan. Both female counterparts (Gracy Singh and Rachel Shelley) have done their job pretty well, as per their character. Paul Backthrone (Cpt. Russell) showcases the attitude of the British towards others and towards Indians in a very realistic manner. All the co-actors have done their job perfectly. Yashpal Sharma (Lakha) is looking perfect in his job. Aditya Lakhia (Kachra) has also portrayed the attitudes and helplessness of the untouchables at that time, in a very appealing performance. Even though choosing a best moment of the movie is pretty tough and actually not very precise, and many would argue on my choice and instead, choose the very last ball of the match as the best moment, but as a critic, in terms of plot build-up, the start of the second innings i.e. the innings of the Indian team is very binding and just so tense. it just brings up a lot of questions, demands as well as certain satisfactions. CRITIC’S CALL –> Must-watch classic. For all ages. A great piece of Art ,History and culture which is well depicted in this film in the back drop of yester yers is worth appreciation and now when I turn to critic I call it a great choice to start with and also would like to appreciate the sense of understanding the various aspects of the film and presenting them for us.. Thank you Harshit Mansukhani. Subscribe for more such reviews every week.